Window air conditioners are low cost quick solutions that work as a easy to install cooling units. While they do work there is much better options such as an evaporator cooler, mini split or even portable cooling units. 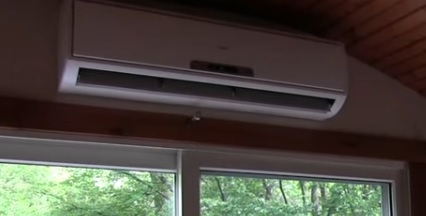 Window mounted A/C units can be loud and take up space around a window blocking it from use. They also are not the most efficient way to cool a home. Mini splits are that same as a standard big home air conditioner only in a smaller size. This makes them much more affordable to buy, but more expensive than a window unit. They also need more technical ability to setup with many home DIY kits for a handy type person. They are much quieter than a window unit and cost less to operate. Evaporative Cooling sometimes called swamp coolers are a good way to cool a space but only work in dry climates. They are cheap to run and are simple to work on. The only real downside to a swamp cooler is they don’t work if the humidity is too high and only work in dry climates such as the American Southwest. 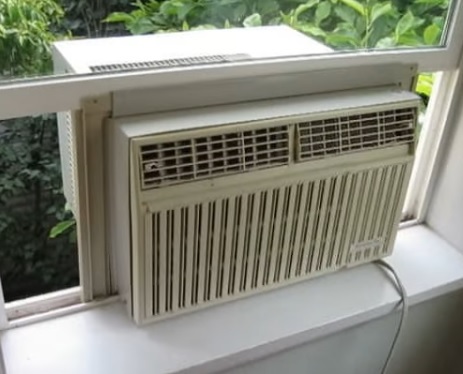 Portable Air conditioning units work much the same as a window unit only portable. They often come with a hose that pumps out hot air and must be located out a door or window to work properly. Often they make some noise but since they are portable but don’t take up a set spot in a window. This also makes them much more easier to setup since they are basically plugged into a outlet and ready to work. There are several alternatives to a window air A/C unit with those above the most used. If you have a choice a mini split units by far the best to use. For those living a dry desert climate a swamp cooler is a good option. A portable unit is much like a window unit only easy to move about and store away when no longer needed. Of course a window mounted A/C unit can still be used with many becoming quieter in recent years and better efficiency.